When I had someone message me and ask about how I got started running and so on, I realized I have not written about it here. Time to rectify that! But before I get to my running history I need to dig deeper, to that kid in the picture above and beyond. I was never ‘small’ or ‘thin’. Like my own boys I was always one of the tallest kids, and in spite of a life-long love of fruit and vegetables, I wouldn’t describe my eating habits growing up as balanced or portion-controlled. As a result, when I was growing up my pants came from the ‘husky’ section at Sears. 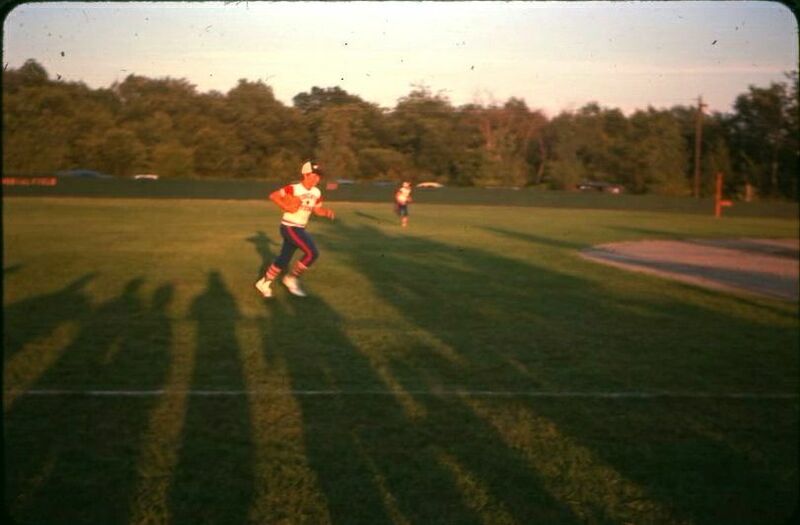 When it came to sports I had talent- but running wasn’t it. It was a joke that I was fortunate I hit the ball as far as I did in baseball … or else I would never have gotten even a single. To put it another way, my mother described me running the bases as looking like the way they did the motion in ‘The Six Million Dollar Man’ … slow motion. Likewise, I remember in 5th or 6th grade having to run some distance timed for a state performance evaluation, and our gym teacher, who was a joker but very sarcastic, made a number of (in retrospect) rather rude comments about my speed and physical condition. Things like that shaped my self-image, which can be summed up as ‘slow and fat’. Not that I liked running – I remember getting a hairline fracture of my sternum on the freshman football team, and as I tried to recover I found it continuing to hurt each week. But honestly, looking back I think it might well have been just tight breathing from being so out of shape and not wanting to run. The interesting thing is that I don’t look at the picture at top and see ‘fat kid’ in the same way I can walk into a school today and have that thought – I suppose that is how our sense of proportion (no pun intended) has changed through the decades. But make no mistake, by the time I finished college … I was huge by any metric. I weighed in at 275lbs when I graduated high school and 375 by the fall of 1988 after I was out of college. I am not really certain of my maximum weight, so I use 375 as an estimate. Let’s just say that I was in a size 48 waist pants … and would have grown out of them before much longer. How did I get there? That is pretty easy – an unhealthy relationship with food. I remember being in the kitchen at the fraternity house and we’d make a mega-batch of chocolate cookie dough … only I would grab a bunch and take it back to my room in a bowl and eat it. I would eat my emotions – happiness, sadness, pain and joy. Somehow, when I look at the picture below all I can hear is Animal House “fat drunk and stupid is no way to go through life, son”. I remember being in an interview in early 1989 and there was SOMETHING – a look, comment, moving around or just something odd – that really brought home how large I was and how negatively it was impacting how everyone saw me. This was a job I felt was MINE – the phone interview went very well and they had lined up a full slate of folks very enthusiastically based on our discussions. I was already unhappy – I was without a job and just didn’t see where I was going in life, but didn’t like wherever it was at the moment. So I decided to lose weight, even those I really had no idea what I was doing. For some reason I can’t really remember, in early 1989 I started jogging. At first I started doing it at night, but found that I was full from dinner and tired from the day (I was working a couple of part time retail jobs), so I switched to the morning. It wasn’t much – a mile or two at most and at a very slow pace – and honestly after a month I didn’t notice any difference, and no one knew but my family so I was about to give up. That same week someone from one of the part time jobs made a comment about noticing I had lost some weight and was looking good! It was incredibly motivating, and I kept up the effort. 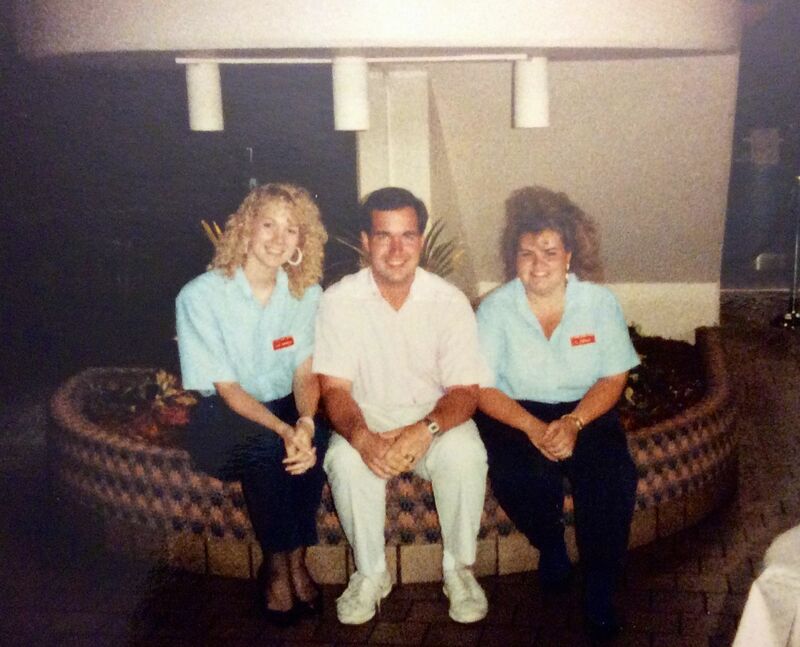 It took more than a few months, but finally in May of ’89 I started working at Bruker Instruments – in my field and working on some cool technology – and was also well on my way to being a normal sized person. 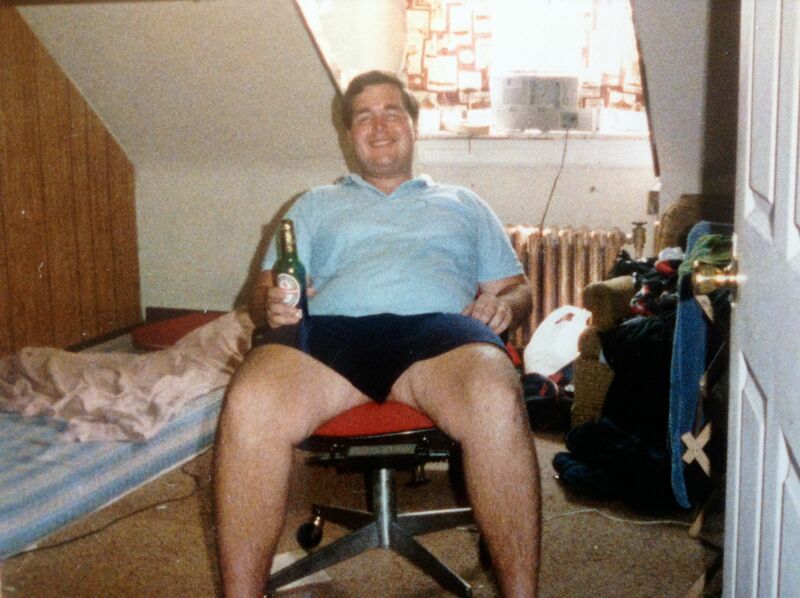 I am sure I was losing weight way too fast … as evidenced by this picture from August of ’89. 7 months and more than 150lbs lighter? The reality is that I had spent my first 23 years avoiding physical exertion and eating pretty much whatever I wanted, so when it came time to exercise and diet to lose weight I really had no clue. In terms of eating, it is easy to look back and say that I was doing ‘calorie restriction’ at an extreme level. I would have a slice of unbuttered toast and a half grapefruit without sugar for breakfast. Salad with non-fat dressing and rice cakes for lunch. And a very limited dinner – at times I would have one food group per day for dinner. All while running a couple of miles and playing basketball for about 20 minutes daily. I was fascinated with the feeling of being hungry, convinced that it meant I was losing weight and doing the right thing so long as it was just a hungry, empty feeling and I continued eating 3 meals per day. But the fall of 1990 my weight had stabilized pretty well below 200lbs – here is a great picture of Lisa and I at Ken & Heather’s wedding in September of 1990. 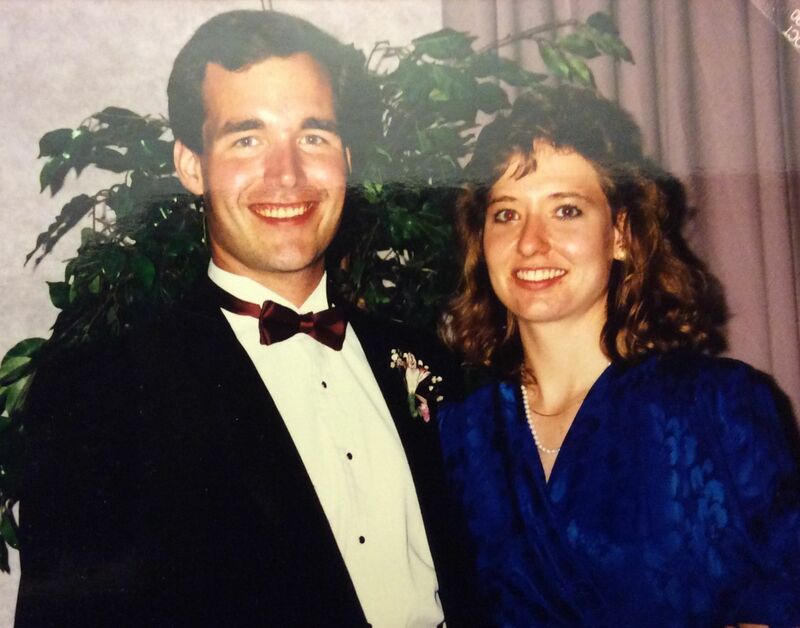 Within two years Lisa and I were married, I was still just as thin, continued running 4-5 days a week for a few miles per day and ate pretty healthy and stayed active all around. It was interesting how my body normalized slowly to being thinner – I got all sorts of comments during that time about how my face looked, and I knew how my body was adapting to the changes … honestly I think it had no idea what to do and was very reluctant to tighten itself up. Well, that is the first 25 years of my life … next time I will be back to fill in the ‘in between years’ – two babies, three jobs, a layoff, a thyroid and a family move! This entry was posted in Healthy Eating, My Running History, Running by txa1265. Bookmark the permalink. Wow! You are an inspiration. 🙂 What a great post! What an inspirational story! I had just responded to your post on my blog, thanking you for sharing a bit of your story there, when I came back and found this. I love it! Congratulations to you for adopting the healthy lifestyle with such vigor. Thanks for sharing! You have come a long ways from that college student! Inspirational stories like this are an important reason that I love to read blogs. You show what can be done, if you want something bad enough. Congratulations on doing what you set out todo and thank you for sharing this story with the rest of us. Very inspiring! Crazy how much impact one comment makes! Thanks everyone! Yes, it is amazing the impact a single comment can have – positive or negative. Just like I remember that compliment, I remember the elementary school gym teacher, the kid who drew an ‘elephant with earrings’ picture to taunt me (seriously 🙂 ), and so on. This is so inspiring… I am 23, and although I am not (very) overweight, I am incredibly unfit. I hated sport/any sort of physical exercise throughout my childhood, teens and school, but now I’m working as a freelance writer and tutor, I don’t even need to move around at all… I decided this week that enough is enough, and I desperately need to change, before it gets any harder to start. Do you have any tips for anyone who has no idea how to change a lifetime of terrible habits? Hi Sam – thanks for the comment. You have read my history, so you know that at 23 I was in a very bad place health wise. And I have spent the last 25 years working at it. – the saying ‘eat food, not too much, mostly plants’. I have always loved fruits and veggies, so it works for me that when I run my body craves those more than other foods. – ‘there is no exercise program that a poor diet can’t undo’. Basically the foundation has to be eating right – controlling portions (our cereal bowls for breakfast actually hold *3* servings! ), substituting healthier ingredients, getting lots of water and eating fresh foods. As I said, for me exercise and eating right go together, so I would suggest trying to do something. Being winter it is tough to do outdoor activities, so I am not sure if joining a gym is possible (or affordable) for you. But it is worth looking into. Also just trying to get up and about and at least walk as much as possible. Just a few quickie thoughts … feel free to follow up, obviously this is something I think is really important and would love to help any way I can! Thanks for this; it’s always inspiring to see someone start from where you are and get to where you want to be. For me, exercise is the scary part; I just don’t know where to start. There is a gym nearby but it’s quite expensive and I don’t have any disposable income at the moment. I do like walking – I went for a little walk with my family today – but find it hard to motivate myself for anything that gets me out of breath. And that’s most things! When I started running again in March 2012 I was terribly out of breath, felt awful and couldn’t find a single positive thing … I stopped running and was walking up a hill feeling terrible and about ready to cry and/or give up. But I didn’t … and all I can say is that it sucked less every day. I totally hear you on the gym – they have several in the US now that are pushing low-cost sign-ups. I’m sure they make their money some other way from people. Exercise is definitely hard. When I lived in Massachusetts I would see loads of people start running right around the Boston Marathon in April – the weather was better and there is always so much news coverage it made them want to try. But quickly the streets were empty again – because it isn’t easy. And I think that is critically important – none of this is easy. And you shouldn’t get down on yourself – it is hard work and harder to keep it going day after day. Walking is one of the absolute best things – my wife has terrible joints and arthritis and cannot run and is limited in other activities, but a nice walk is perfect and good exercise! Today I will do some vigorous exercise, and see where that takes me. Every little helps! Thanks again for all the advice. I’m aching this morning, but I guess that’s good pain! Feels like I’ve been beaten up, mind! Oops – thanks for catching that typo! Glad you enjoy the story!